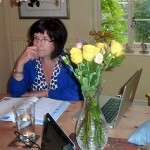 Carol is a teacher of English who has been teaching in schools and one to one in her home for many years. Carol has also been a Head Teacher and Director of Education. She has taught all levels of English to many different ages and nationalities. 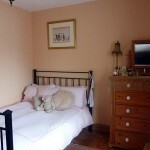 Carol has a Bachelor of Arts Degree and a Post Graduate Diploma in English and History of Art. She is a secondary school teacher (PGCE, specialism in English; PGCE in Special Needs). Carol has the TrintyTESOL to teach English as a foreign language and then studied for her TESOL plus Business English. Carol (early 50’s) lives with her partner Brian (early 60’s), who is also an English Teacher. Brian has a Science degree from Edinburgh University. After leaving university he went into business working in the pharmaceutical industry – mainly working with hospital consultants in the treatment of cancer. He worked for Astra Zeneca. Brian enjoys cooking, wine, travel and joins in the local pub quiz! Carol has three grown up children who sometimes visit for the weekend. Carol really enjoys reading, a wide range of genres from Classical Literature to French Realism. She also enjoys travel, visiting art exhibitions, film, theatre, dining out, cooking, walking and keeping fit. Brian has been a fan of Pink Floyd for years and we travel all over the world to watch David Gilmour and Roger Waters when they are on tour.He is interested in business and economics and science. 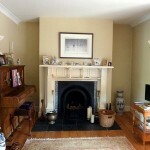 Carol lives in a comfortable and spacious 5 bedroom house, with a history dating back to the 1880’s. The town has lots to offer including a theatre, cinema, indoor and outdoor swimming pool, restaurants and a large outlet shopping centre. Carol has a rather old friendly cat. 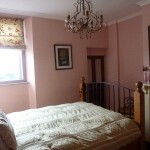 Carol lives in Street, a beautiful town with a very interesting history, in the South West, near Glastonbury, Wells and Bath and only 40 minutes from Bristol Airport. 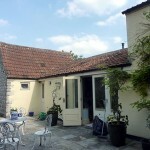 The famous town of Glastonbury is a 15 minute walk away. It is famous for the Avalon legends and the beautiful ruined Abbey, the Tor and Chalice Well. 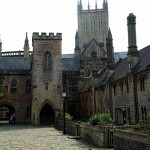 The South West of England is rich is history and heritage. It is the home of Stonehenge and the magnificent Bath Spa. There are lots ofcastles and cathedrals to explore, along with traditional gardens, stately homes and quaint picturesque towns and villages that offer a window into typical old English life. Carol is a teacher by heart. She sees her pupil's needs very fast and provides suitable, most interesting, diverse and individual lessons. Mixed with fun is this a successful and irresistible method. Carol's method. Highly recommended!